Three local Cherry companies have donated their “I love Michigan Cherries” sculpture to the National Cherry Festival in memory of their long time business partner and cherry industry innovator Gene A. Veliquette. Gene passed away unexpectedly on June 7, 2015. 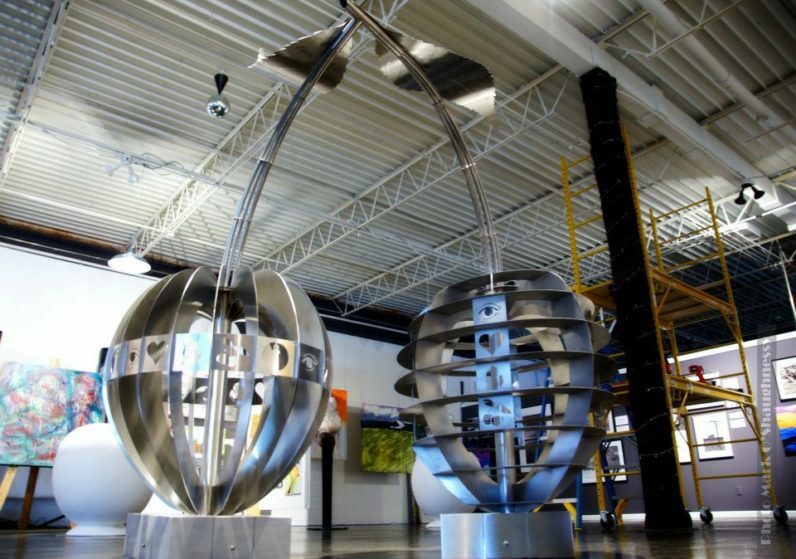 The nearly nine foot tall twin cherry sculpture was one of several pieces of art that were originally created as part of the Making a Difference (MAD) “Cherries for Charity” event held by students of the Northwestern Michigan College (NMC) Entrepreneur Program. Funds raised from the MAD event went to three local charitable organizations. “We have been working with local organizations in Traverse City to find a fitting location so the structure could be shared with the public” said Don Gregory, Chairman of the Board of Directors of Shoreline Fruit. 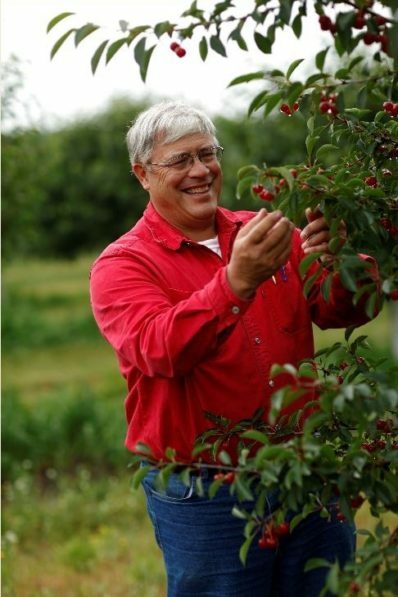 “Together with Shoreline and our partners at Cherry Ke and Cherry Bay Orchards we felt it would be a special way for others to remember and recognize the contributions that Gene had made to the cherry industry”. "It would be hard to find a person that loved Michigan cherries more than Gene,” continued Don. "We are thrilled to have the opportunity to showcase the cherry statue during Festival week,” said Trevor Tkach, Executive Director of the National Cherry Festival. "It is fitting that a statue celebrating cherries is dedicated to a man who made it his life's work, Gene Veliquette. We will proudly display the “I Love Michigan Cherries” statue in honor of Gene and all those from the industry whose hard work has earned us the title of Cherry Capital of the World." The cherries sculpture will be on display at the entrance to the Open Space Park during the National Cherry Festival from July 4 – 11, 2015. 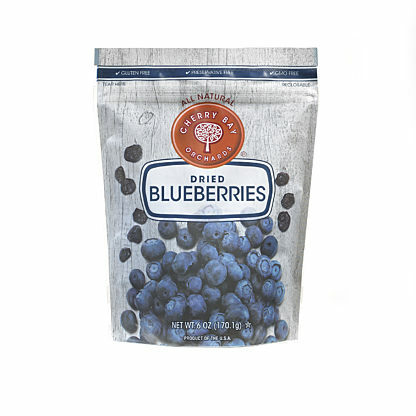 Shoreline Fruit is a vertically-integrated grower, processor, and marketer of premium cherry products and other dried fruits. 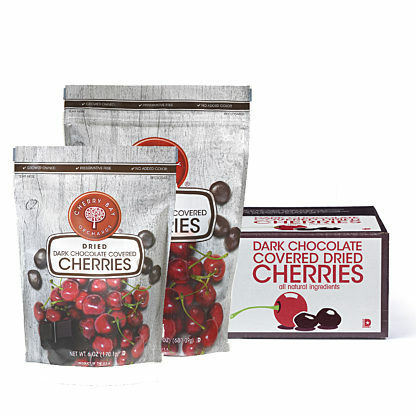 Locally-owned and headquartered in Traverse City, Michigan, Shoreline is one of the world’s largest producers of dried tart cherries and cherry concentrate. 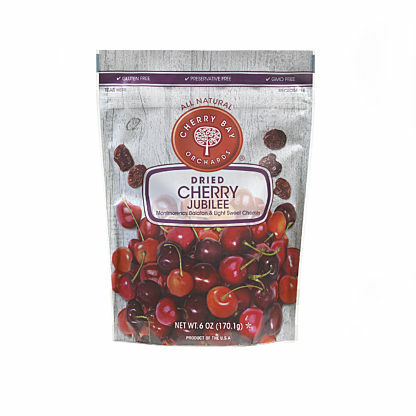 Shoreline also offers a broad selection of other premium dried fruits and tart cherry-based nutraceutical products to consumers under their Shoreline Fruit®, Cherry Bay Orchards® and CherryPURE® brand names to retail and specialty food marketers and distributors. From orchard to table, Shoreline is committed to quality, innovation, and sustainability.